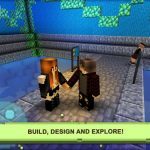 Rodeo Stampede: Sky Zoo Safari has been quite the sleeper hit since its recent release. 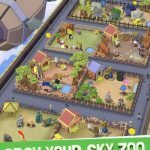 This Yodo1 game is a unique zoo management simulator, as it puts you in control of the game’s titular Sky Zoo Safari, as you unlock more enclosures and more animals. Part of doing this involves riding on animals, much like a rodeo competitor would ride a steer or a bronco, but this time around, you’ll be riding on wild animals. And that also includes secret animals – this game has several of them, and they’re not easy to unlock. 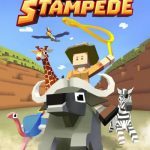 In this Rodeo Stampede strategy guide, we shall be walking you through the things you should do to unlock the secret animals in the game. Now, some of the tips we’ll be showing you in here may be tricky, but they’re simply what you should do if you want these secret animals added to your collection. Keep in mind as well that we’re only featuring most of the secret animals, not all of them – this is still a very new game, so we’re expecting to figure out the other unlocking techniques soon enough. But when we do, we hope to share them to you at the soonest possible time. The Diabuffalo is the secret buffalo in the game, and in order to unlock it, you’ll have to start your round by riding any one of your buffalos, and keep riding on it without leaping off for about 750 meters or so. Once you’ve stayed on for that far, the Diabuffalo would appear; ride on it and tame it, and it’s all yours. Unlocking the Trojan Zebra would require you to unlock all of the Savannah animals and to ride on each one of them in one round, one after another. Yes, that’s quite a feat to pull off, as you will have to ride the buffalo, elephant, giraffe, lion, ostrich, vulture, and zebra. Fortunately for you, you don’t have to ride them in a specific order – ride them in any order you wish, just as long as you’ve got all of them covered in one round. This one may be a bit tricky, but read on as we show you how to unlock the secret vulture called Vulture-on. Make it to the 2,000 meter mark or so in the savannah, where you’ll see a couple of hills with pathways on each side. Assuming you’ve already unlocked the vulture enclosure in your zoo, Vulture-on will appear on top of some of those enclosures. In order to reach that high, ride on the vulture, or on an elephant or giraffe, to make the high jump and land on Vulture-on. The Bunny Gator is the secret alligator in the jungle, and unlocking him would require you to ride on any other gator and go about 2,000 meters or so. Once you’ve done that, you will see the Bunny Gator, whom you can then jump on and tame. Sounds like a weird mix of dinosaur and rhinoceros, but weird name aside, Dhinoceros is the secret rhino. First of all, make sure you’ve got the rhino enclosure. After that, ride all of the seven jungle animals; just like you did in the savannah when unlocking Trojan Zebra, this could be done in any order, just as long as you’ve ridden on all of them. The loving (?) H.R. Giger tribute called H.R. 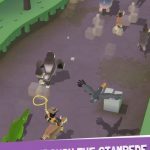 Tiger is the secret tiger in Rodeo Stampede, and you simply have to ride on one tiger for quite some time after it gets angry. You’ll see H.R. Tiger once you’ve stuck it out for long enough while riding on the angry standard tiger. Threecan is the secret toucan, and you can unlock this character by unlocking one of the game’s other toucans. You can then ride on it and do a 100-meter jump, making sure you land on another animal. Threecan will then appear, allowing you to jump on him, catch him, and add him to your collection.